Our members in Sanctuary are determined to fight back against cuts to their terms and conditions. Our members care for vulnerable and elderly clients, but are now discovering that Sanctuary doesn't care about them. The previous angry and energetic meeting of care home staff was held just before Channel 4's Dispatches programme exposed horrific conditions that some tenants are left to battle against whilst trying to get repairs done by the company. A further damning indictment of the organisation's executives. The meeting is open to members and any non-Unite members who are considering joining, so please feel free to bring your colleagues along. You can download the meeting documents, but hard copies will be available at the meeting too. Read our earlier report on Sanctuary and the Channel four Disptaces programme about the association's failings here. Management have already begun signalling their fear of Unite's organising. 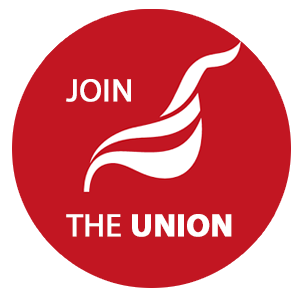 Recognition of Unite the Union for collective bargaining. If you are a Sanctuary employee and live in the area, please do join us for the meeting.